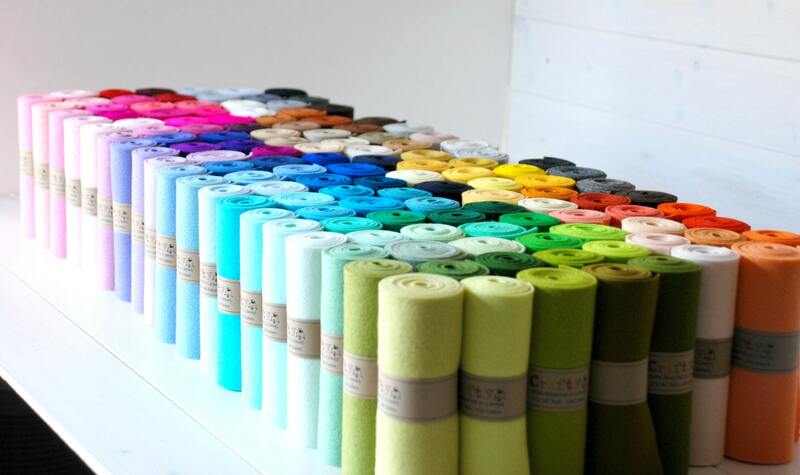 100% Pure Wool Felt in so many Yummy Colors! 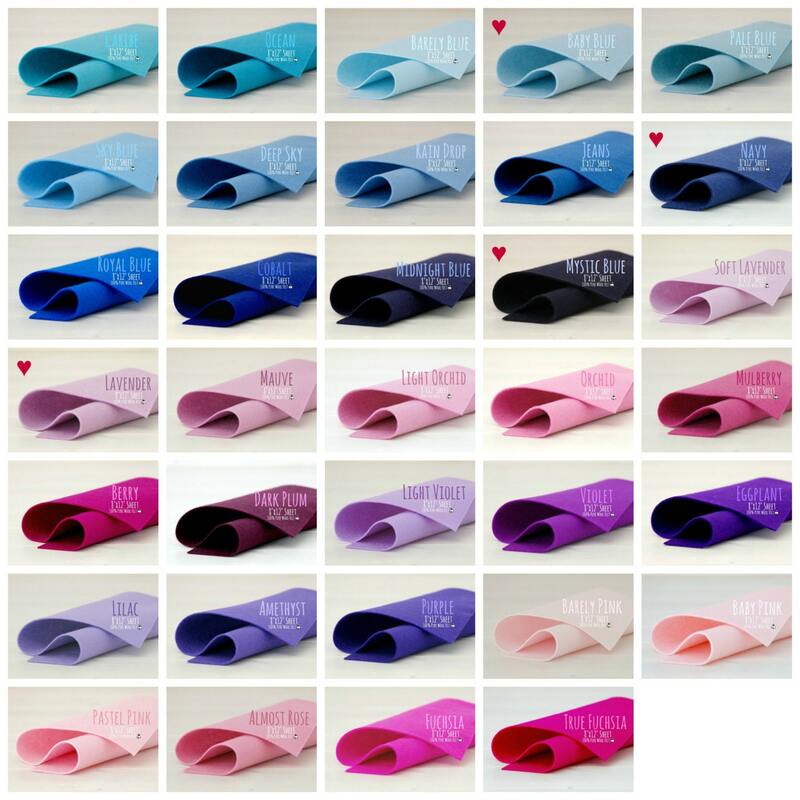 Colors Available: Please refer to the color charts to see all colors available and write the color or colors of your choice in the "Message to Seller" section at check out. 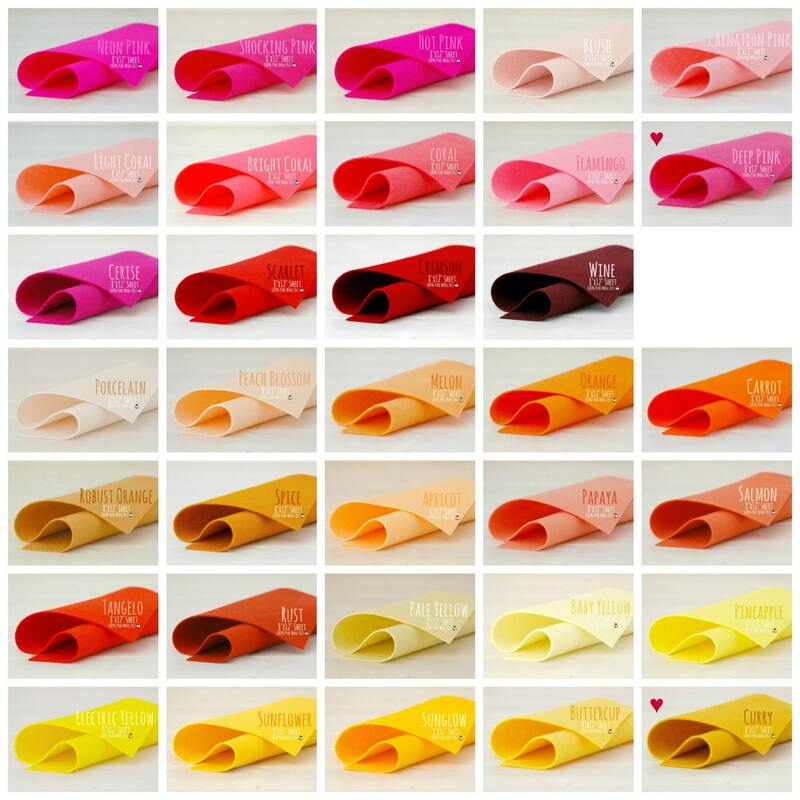 ♥ All 135 colors are 100% Pure Wool Felt. 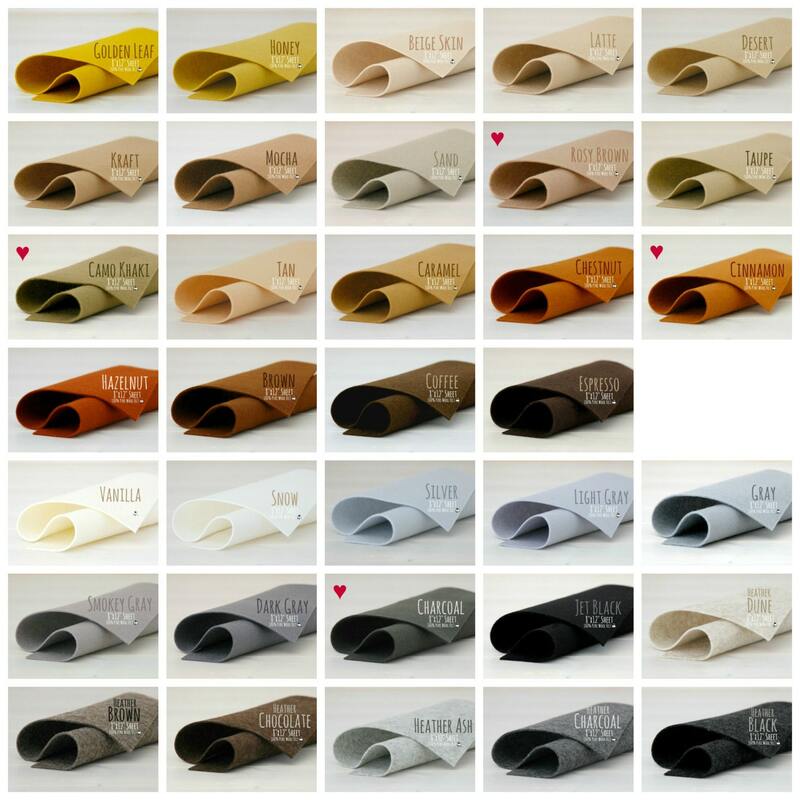 » Slight color differences may incur between different dye lots. This is normal for fabrics including wool felt. 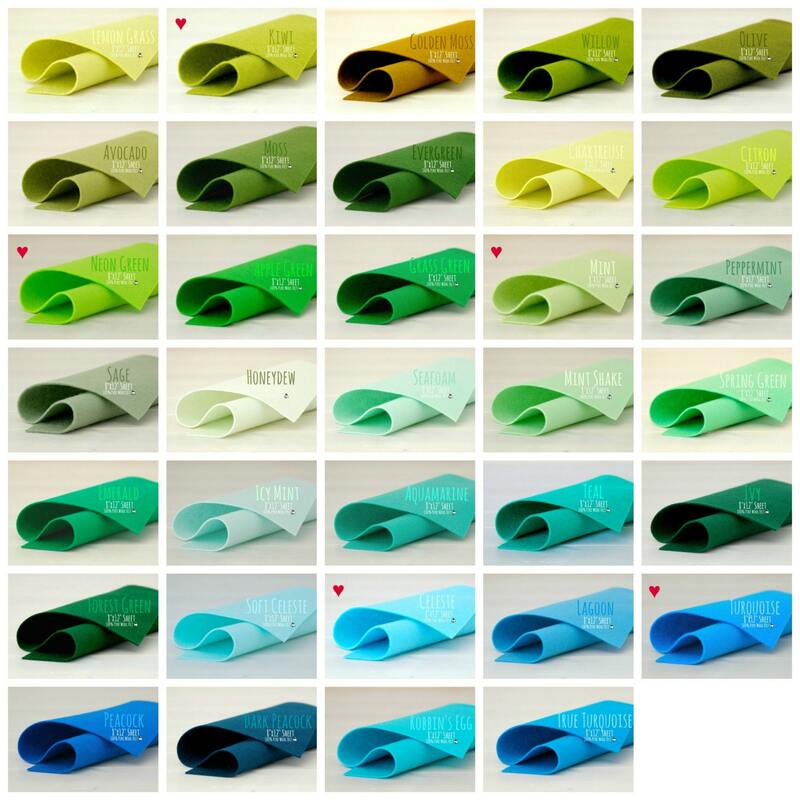 I recommend that you purchased sufficient quantity of each color for your project. » I try my best that the colors in the pictures represent the colors of the actual product as close as possible. However, due to photography as well as monitor color settings a slight differences can occur. Purchasing my color chart is the best way to ensure a close match. » My work shop and storage is pet and smoke free. (I do have pets but they are in other places).shop and storage is pet and smoke free. (I do have pets but they are in other places). This is not the first product that I have bought from Crafty Wool Felt, and as always I am impressed with the quality of the felt, the amazing colors and the fast shipping! I will definitely keep coming back for all of my felt and felt products! Wool felt is excellent in quality and the colors are delicious! Thank you for a great shopping experience! I love working with the 100% wool felt that @craftywoolfelt sells. Claudia s wonderful to work with - knowledgeable, accommodating and quick to reply to queries. I will continue to use CraftyWoolFelt!